After my brief stint rocking Fieldrunners on Kevin's iPad during WES, I've become a big fan of tower defense games. I have a few that I'll play on my Mac when at home, but on the go I was feeling some withdrawal. There aren't very many available for BlackBerry, but the best I've found so far has to be Fierce Towers by Nickel Buddy. The game is easy to get up and running, and doesn't have any overwhelming options to bog things down. While some may be upset at the lack of features (mainly that there is no sound), others will find the simplicity to be a great thing. There is zero difficulty in getting up and running. Install, start and select "Play". There are no options to worry about, and the instructions are contained in a small Help screen. You can choose from a few different game modes, including the stanard Easy, Medium and Hard. 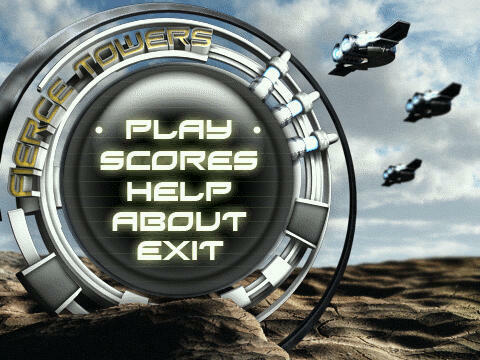 Once you get going, you have a selection of five towers at your disposal. These include Photon, Missle, Air, Freeze and Pulse. There aren't many to choose from, but for me that was part of the draw. Playing the game mostly on the go, having fewer options just speeds things up and makes it that much easier. To place a tower, you select the spot on the map and the menu pops up (not like some where you choose the tower then place it on the map). You start out with a decent amount of money so you can get a good setup before the first wave of enemies rolls in. From there, you can choose to upgrade towers by clicking on them, as well as sell them by doing the same. The game runs smooth, and the only big downside is that there is no sound, although for me this wasn't a huge issue since I wouldn't really have it turned up anyway. There is also no notification of the upcoming wave, which again wasn't a huge issue for me, but I know it may be for some. You have the option to exit the game and pick up again from the same place when you restart - a very cool feature. I find myself playing for only short spurts, so being able to leave off and pick up again from the same point is a big help. The game does lag a bit at times, but it wasn't anything to deter from playing. 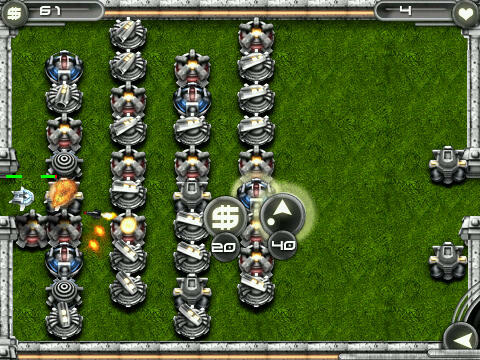 Overall Fierce Towers is great choice for BlackBerry if your'e a tower defense fan. As I said before, there aren't very many options on the platform, but this one is tops on my list. If you can get by the lack of sound in exchange for simple gamplay, I highly suggest picking this one up. You can grab it for $4.99 in the CrackBerry App Store. If you're a fan of tower defense games, Nickel Buddy also has a new release coming up called Candy Defense. You an check out a quick preview from the Solutions Shocase at WES 2010.